The Border Lands PC Review. Graphically, the title is oozing with 8-bit charm as are the sound effects. It may not be the most fun game of the year but it's free and can definitely kill some time at work. So what are you waiting for, check out The Border Lands and get ready for Borderlands 2. Welcome to The Border Lands and we don't mean the critically acclaimed RPG shooter either. 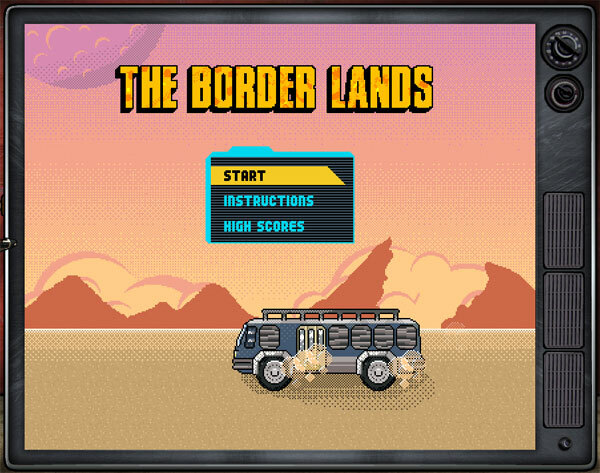 In order to celebrate Borderlands, 2K Games and Gearbox Software have launched a demake of their popular game called The Border Lands which is free to play at www.wubwub.eu/demake.php. Yup... it's free and it's a great way to kill 30 minutes or so! In conjunction with Ralph, a UK creative agency, they have created a 1980's inspired bitmap shooter that takes older players on a violent reminiscing journey of old school proportions. The objective in the game is to kill everything on the map and once you have cleared all enemies, you can then embark on the next stage. Repeat this until finished! By killing enemies, players are awarded experience point in order to level up your damage and health. 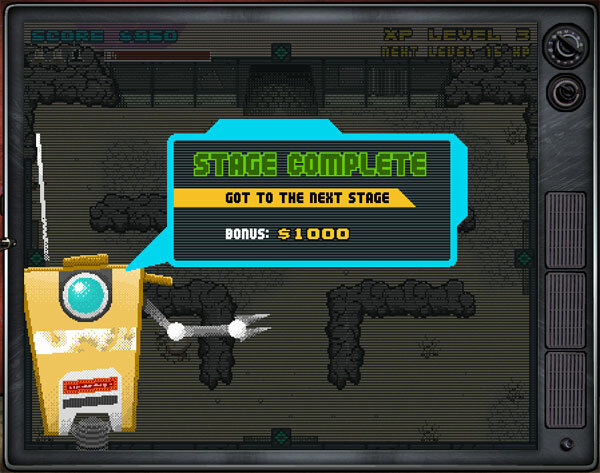 Your character can even find new guns in the various stages that they play and best of all, controls are a breeze. 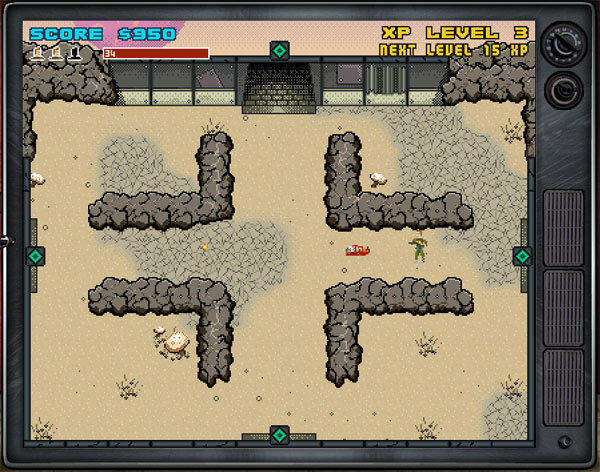 The controls for this flash game included the arrow keys for movement and space to fire. It cannot get any simpler than that. Before starting, you first need to select your character which includes Salvador, Maya, Zero and Axton. Each has their pros and cons. Once in the game, the objectives is to survive. By killing enemies, you are awarded experience points to level up and become more powerful. Guns are littered through the environment to assist such as shotguns and machine guns. 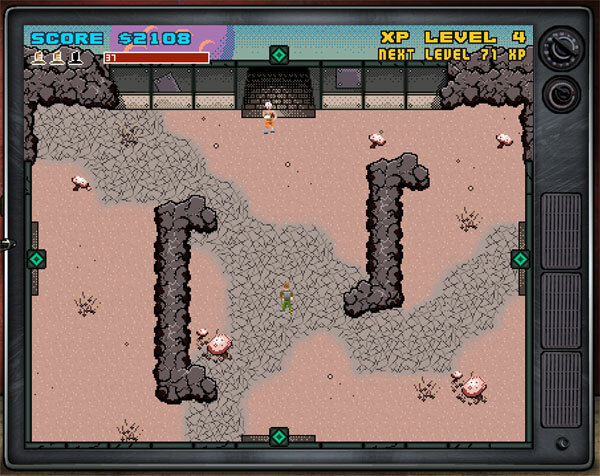 It's basically a hoard mode but is set loosely in the "Borderlands" universe. It's actually quite fun in short doses. Graphically, the title is oozing with 8-bit charm as are the sound effects. It may not be the most fun game of the year but it's free and can definitely kill some time at work. So what are you waiting for, check out The Border Lands and get ready for Borderlands 2.